The original inspiration for this dish came from Jamie Oliver but I can’t remember if it was from one of his TV shows or cookbooks. Whatever the case, it’s become one of our staples as it’s quick, delicious, and versatile. I started making it with cherry tomatoes instead of fennel but one day I didn’t have cherry tomatoes, tried the fennel instead, and everyone liked it better. I still make it both ways, and sometimes I use thyme instead of basil. 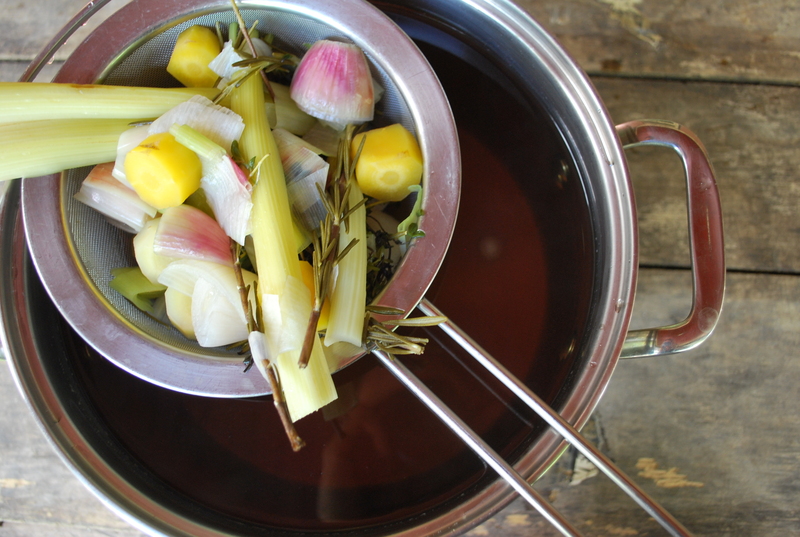 However you make it, it looks great, tastes great, and is an easy addition to any meal. 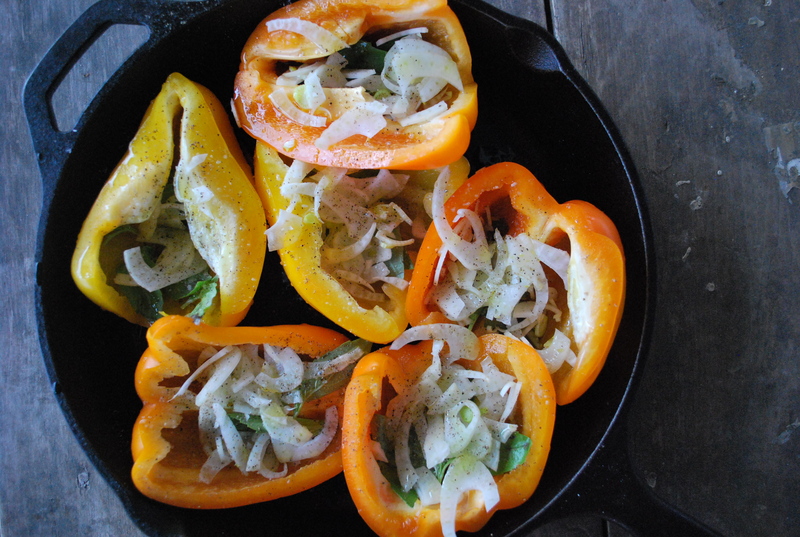 Clean the peppers, cut in half, and place in the bottom of a cast-iron pan. 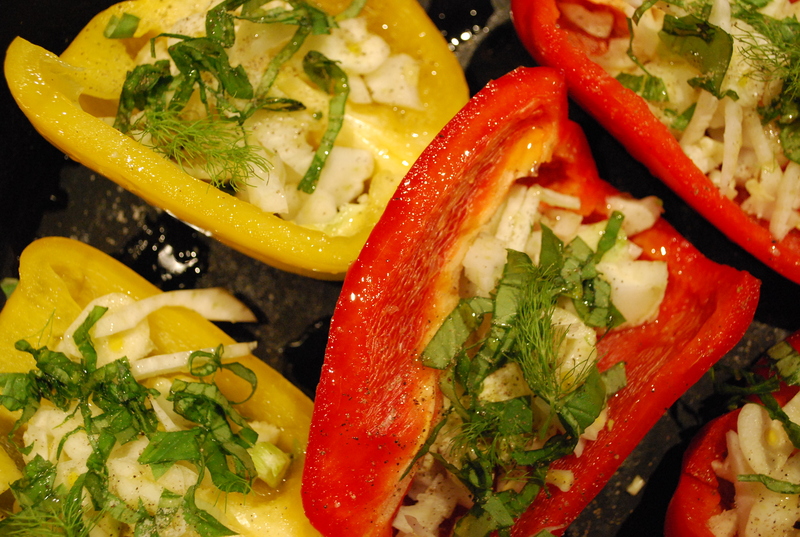 Fill the peppers with sliced fennel, garlic, and basil. Drizzle with olive oil and sprinkle with sea salt and a couple of turns of the pepper mill. Bake in the oven at 400 for 20 or 30 minutes until they are cooked to your liking.